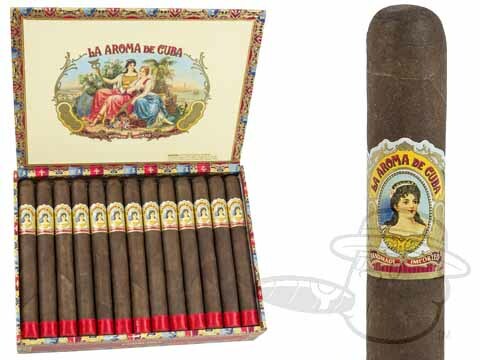 La Aroma de Cuba was first released in 2002, and was immediately met with high praise—Cigar Aficionado gave the original blend a 91 rating, citing its earthy, leathery, and toasty flavors. The company, however, didn’t want to stop there—in 2009, the La Aroma de Cuba blend was updated by Don “Pepin” Garcia, and its score went up to a whopping 93! This blend combines the spicy, sweet character of the Connecticut Broadleaf wrapper with the earthy richness of Nicaraguan binder and filler. This makes for a full-bodied smoke with notes of cocoa, leather, earth, black pepper, and a hint of caramel sweetness on the retrohale. Top that off with impeccable construction and a phenomenal burn and draw, and you’ve got a premium cigar that topples others in its price range. Consistently excellent construction and draw with an excellent medium full flavor profile. A great cigar at a reasonable price. Rich taste fills your mouth every perfect draw....One a day keeps the doctor away. Consistency in manufacture, taste and draw. You know what to expect and you get it every time. It is a great medium/full everyday smoke you can relax with every time. This is one of my favorite cigars in this price range. Good, consistent, full tobacco flavor. I love everything about this cigar. I never thought that a cigar distributor could be as good as BEST CIGAR. This company takes my cigar habit seriously. They ship on time and the orders have always been 100% accurate. Truly a great experience. Their prices are very reasonable and competitive. This is one of my favorite cigars--nothing fancy, just good, robust tobacco flavor. 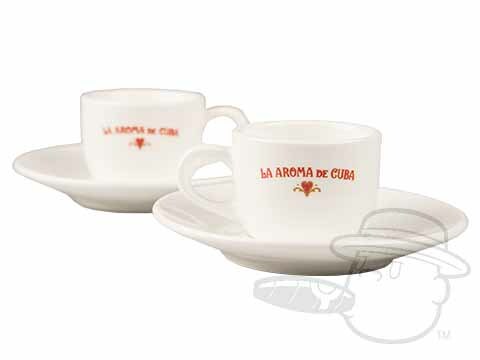 La Aroma De Cuba Churchill is rated 4.8 out of 5 based on 9 customer ratings.